Will Brexit Be a Drag on Aerospace? Following the United Kingdom’s referendum result in favor of leaving the European Union, NPC Broadcast Committee member Adam Konowe speaks with aerospace analyst Richard Aboulafia of the Teal Group about Brexit’s potential impact on one of the country’s most important industries. 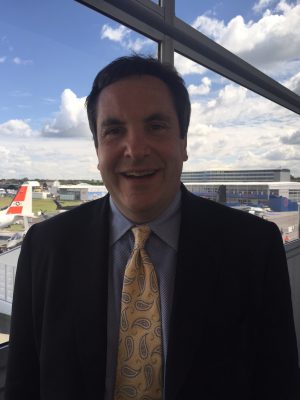 The interview, recorded in the press center during the biennial Farnborough International Airshow, covers Brexit in the context of commercial and military aviation, other news from the show, and insight into the evolution of aerospace journalism.